Nimmi Calls Surbhi! Shakti Astitva Ke Ehsaas Ki 2nd August 2016 Episode Written Updates :- In the TV series Shakti – Astitva Ke Ehsaas Ki a huge melodrama is to showcase in which Saumya will be horrified to know that she is a transgender and so shattered attempts suicide. How will she move ahead in her life, the upcoming episode of the show will tell us that! Ever since the show has been launched it becomes talk of the town because of its unique theme and now on the upcoming episode of the TV series Shakti-Astitva Ke Ehsaas Ki it is all set to reveal that Saumya is truly a transgender. Throwing light on what will happen to Saumya is that Saumya will get to know that she is a transgender and she will be shocked to know so, the truth will bring the dozen of grief to her for which she will be shattered and eventually she will be seen trying to commit suicide. She will be shown slitting her wrists. It remains to be seen if Harman (Vivian Dsena) will save her or not. The coming track will also focus on how Harman going to reacted on this truth, there will be more revelations as a ‘common superstition’ angle will also be explored. Rest of the story will tell us how Saumya is going to deal with the harsh reality of her life. The love triangle of Surbhi (Roshni Sahota), Harman and Saumya will also move ahead now may be as new track need to introduce by the makers. Surbhi who is always there for her sister Saumya, let’s see whether she will be seen supporting her sister in her difficult times or she will grab this opportunity to go closer to Harman as she also has a likeness for Harman anyway. In last night’s episode, we saw how Harman is under pressure to consummate his marriage with Saumya. 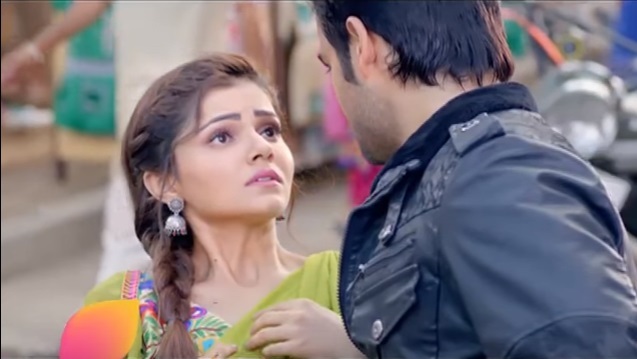 But Saumya did not allow him to let her touch as Nimmi (Reena Kapoor) wants Harman to be away from her for 21 days.